‘Tis the season for the strongest, spiciest, most malty beer offerings. Whether it’s a stout, super saison, or triple IPA, there’s something on tap at a nearby brewery or bar that will warm your soul on the most frigid of days (and are still quite enjoyable when temps go above the 60s). Below, we’ve rounded up 10 of the very best DC-area beers for the cold months -- and talked to the brewers who made them. Like a lot of good rye cocktails, Rye Baby pairs the grain’s spiciness with citrusy, orangey notes -- in this case, from the Chinook and Simcoe hop varietals. The combination is time-tested, and with improved clarity and more pronounced rye flavor than in the past, this year’s Rye Baby is better than ever. “It’s a maltier IPA than most IPAs are, sure, but I think those notes help make it the IPA that it is,” Blodgers adds contentedly. Matt Humbard isn’t a big fan of coffee. The stuff’s too bitter for the Handsome Beer head brewer. He doesn’t like its burnt flavor, either. This presents a challenge when it comes to constructing a stout. After all, the style -- rich with black malts -- is often associated with the taste of bitter, roasted java. 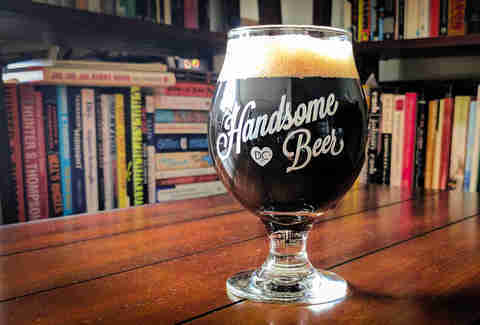 After over a decade of homebrewing, though, Humbard has figured out how to make stouts work for him, and this on ample display in each pint of Handsome’s first dabbling in the dark arts, Export Stout. 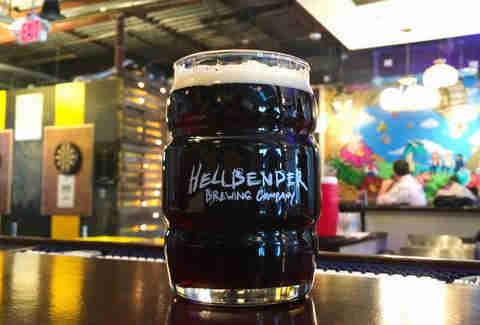 Humbard’s version of an export stout is built on a grist of lightly roasted malts. 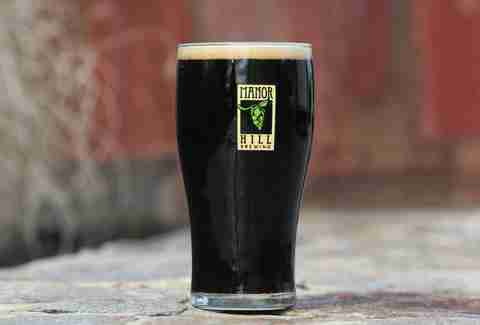 More notably, it’s fermented with an Abbey ale yeast, which adds a refreshing fruitiness to the dark beer. Finally, it’s conditioned with sage grown in the brewer’s backyard garden. The Belgian yeast and the perfume-like quality of sage aren’t meant to hide the stout’s roastiness but rather complement it. 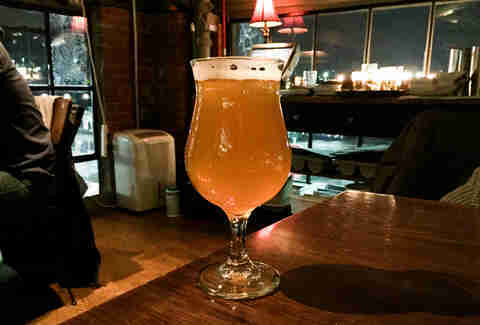 “Sage provides a culinary context for that tannic bitterness,” explains Humbard, who likens Export Stout beer to a strawberry-and-basil fruit salad. 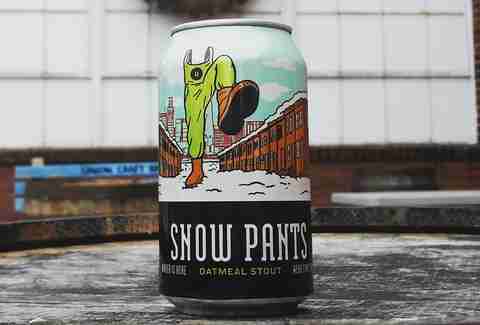 “This beer has an herbaceous, sweet-fruit, sugary aroma, but because it’s pretty low in gravity, there isn’t any of the heavy, syrupy thickness of a traditional breakfast stout or coffee stout." Each February, the West Coast hop masters unleash their triple IPAs. There’s Beachwood’s Hops of Fury, Knee Deep’s Simtra, and, most notably, Russian River’s legendary Pliny the Younger. These beers are massive in hop character and equally generous in alcohol, often pushing well beyond 10% ABV. Generally, the brewers eschew more than a dash of biscuity crystal malts, and then use sugar to dry out the beer -- it’s all about the hops. So, it’s not hard to figure out why Ocelot might be interested in producing its own take on a West Coast triple IPA. Plus, California is long way to travel for a drink. “I’ve never been able to go to Russian River for the release Pliny the Younger, so I was like, ‘Well, I want to make a triple IPA, too,” Ocelot founder Adrien Widman jokes. Back when he was brewing at Sterling’s Sweetwater Tavern over a decade ago, Jonathan Reeves would occasionally visit a local spice market in search of inspiration. 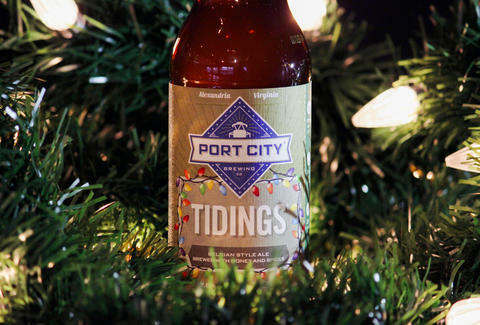 It was there that he first had the idea of brewing a light-bodied, light-colored Christmas ale with some of India’s flavors -- a little cardamom, fresh ginger, a dash of coriander, and plenty of honey. 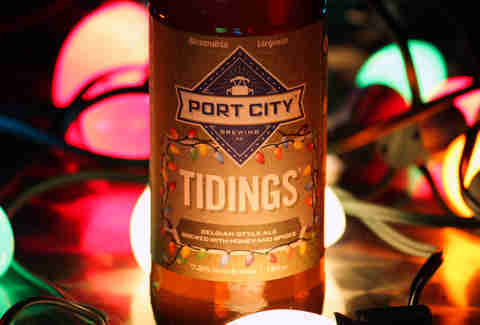 Years later, as the head brewer of Port City, he would revisit this idea with Tidings Ale, a Belgian-style blond ale brewed in time for the holidays. Philip Runco talks to people who make beer and music. A lot of these conversations end up on BYT. 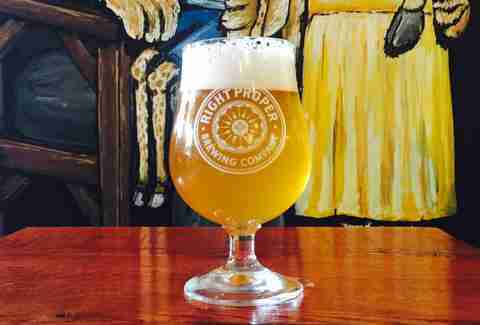 Follow him on Twitter @PhilRunco, Instagram @prunco, and Untappd @prunco.